While Argento’s original is a beloved and undisputed masterpiece, the 2018 re-imagining of “Suspiria” holds its own as a stunningly unique vision. HEREDITARY was the most polarizing film of 2018, but then Luca Guadagnino said “hold my beer” and unleashed his remake of the Dario Argento classic SUSPIRIA onto an unsuspecting public. 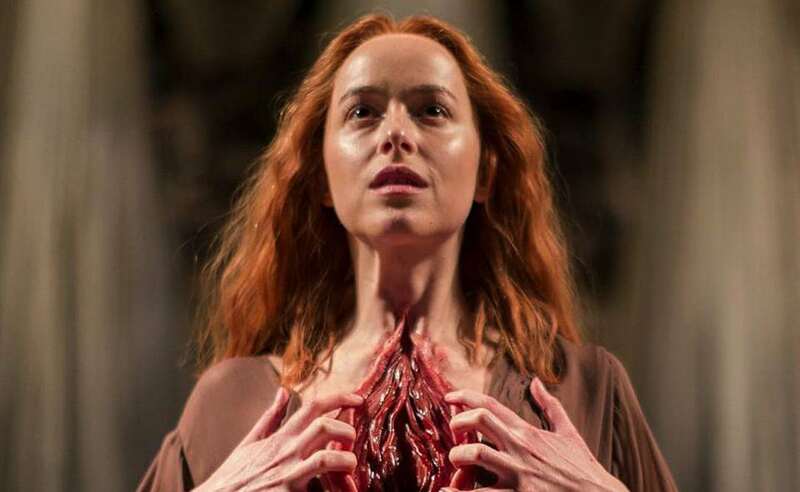 Other than HEREDITARY, no movie in 2018 was as talked about as the 2018 remake of Dario Argento’s SUSPIRIA from director Luca Guadagnino and writer David Kajganich. Despite a very limited theatrical run, the Amazon Studios produced movie created a deep divide among horror fans and devotees of the original SUSPIRIA. For a taste of the differing opinions of SUSPIRIA, check out the mini-reviews article from members of the Morbidly Beautiful Horror staff. Guadagnino and Kajganich use the framework of the original SUSPIRIA, but mold the story into something nearly completely different. If labels mean anything to you, the 2018 version of SUSPIRIA is more of a reimagining than a straight remake, along the lines of what writer/director Fede Alvarez did with EVIL DEAD. Set in Berlin, Germany in 1977, an American dancer named Susie Bannon (Dakota Johnson) arrives at The Tanz Dance Academy. With no training as a dancer, she nonetheless proves to have a natural ability to dance, perform, and emote through the movement of her body. Madame Blanc (Tilda Swinton) is the head of the dance program, and quickly takes on Susie as her protégé, as she recognizes the power in Susie’s dancing. Unknown to Susie and the outside world, the academy is home to a witch’s coven that worships one of the Three Mothers, powerful witches that reside in three different cities around the world: Berlin, Rome, and New York. The head of the coven and the dance academy, Madame Markos (who, herself, claims to be one of the Three Mothers and calls herself Mother Markos), is an aged and physically failing witch. She has the coven looking for the perfect girl to use as a vessel for Mother Markos to extend her own life. 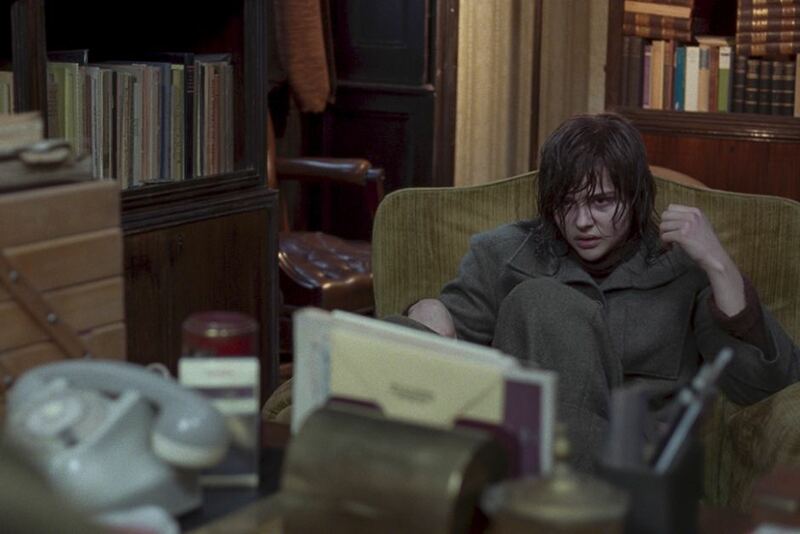 SUSPIRIA also includes a subplot surrounding a local psychoanalyst, Dr. Josef Klemperer (in a dual performance by an unrecognizable Tilda Swinton), who is a survivor of Nazi Germany, but has a tremendous amount of guilt and shame over the loss of his wife. He has never learned what happened to her after she was taken by the Nazis and hopes that she is alive somewhere. In the meantime, Dr. Klemperer tends to his patients, including a girl named Patricia (Chloe Grace Moretz), who is a dancer at the academy. Patricia reveals to the doctor that the academy is a front for the coven of witches. The doctor believes her story to be pure fantasy, but he writes down in great detail her stories about the coven and its hierarchy, including the Three Mothers. Guadagnino’s SUSPIRIA is a thoughtful, deliberate movie that is nearly as devoid of color as Argento’s original is awash in bright, almost neon-like colors. Guadagnino also takes the time to expand the story of the dancers and tie their dance performance into weaving spells of the coven, where Argento spent almost no time focused on the dance school actually dancing. The lack of vibrant colors and a muted score by Radiohead’s Thom Yorke may lay an expectation for a more sullen, laid back experience. But make no mistake — Guadagnino brings shocking nightmare imagery that’s as powerful and upsetting as anything in the original movie. The scene involving a dancer named Olga (Elena Fokina) who is tossed around a mirrored practice room, and her body twisted and torn by the dance performance of Susie, is one of the more horrifying things you’ll see in a horror movie. That scene was used extensively in the marketing of the movie, but that does not take away its impact upon viewing. Whatever your feelings on remakes and/or the original movie from Dario Argento, the 2018 version of SUSPIRIA is a movie that demands to be seen. 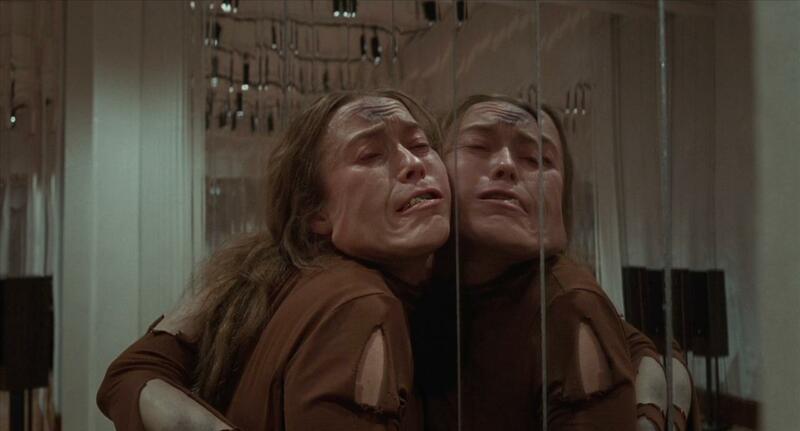 Love it or hate it, I don’t think anyone can deny the artistry of Guadagnino’s vision of SUSPIRIA. However, as great as the movie is, Lionsgate and Amazon Studios have given fans a Blu-ray that is light on special features. There are three short featurettes that I liken to something HBO used to do with movies that were about to premier on their channel — “HBO First Look.” They were behind-the-scenes featurettes and interviews that were little more than fluff pieces. That’s basically what you get with the special features on the Blu-ray. The best of the three is “The Transformations of SUSPIRIA”, which gives viewers a peek at the practical effects work behind Olga’s torturous dance scene and the effects heavy finale. While this Blu-ray release is worth picking up, I’m hoping that sometime in the near future Lionsgate and Amazon will do a double-dip and hit fans with a home video release packed with special features. SUSPIRIA (2018) is deserving of an intense and comprehensive look at the making of the movie. 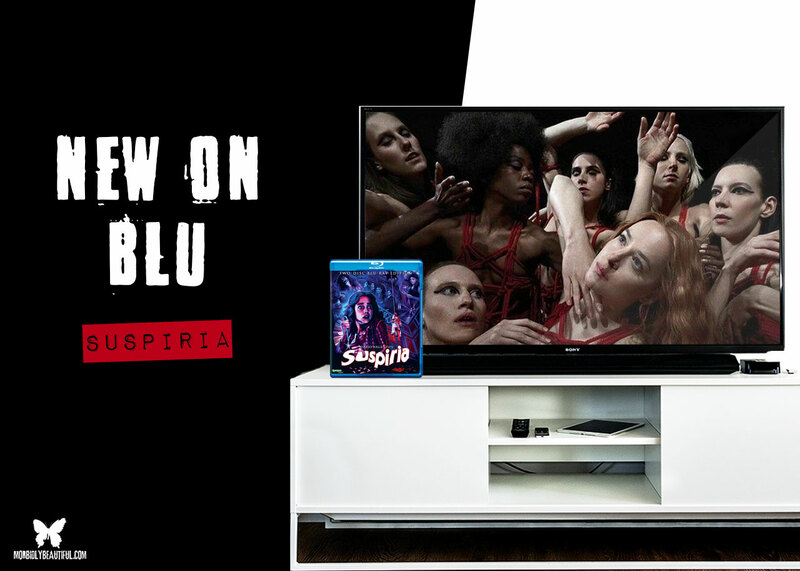 SUSPIRIA is available to purchase on Blu-ray and VOD platforms from Amazon Studios and Lionsgate.